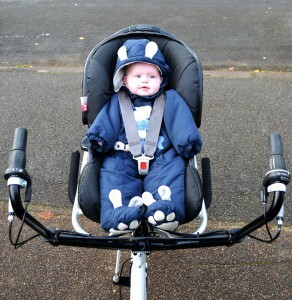 Carrying very young babies on traditional bike seats is not recommended, however, car seats like the ‘Maxi Cosi’ provide suitable support to a baby’s neck. 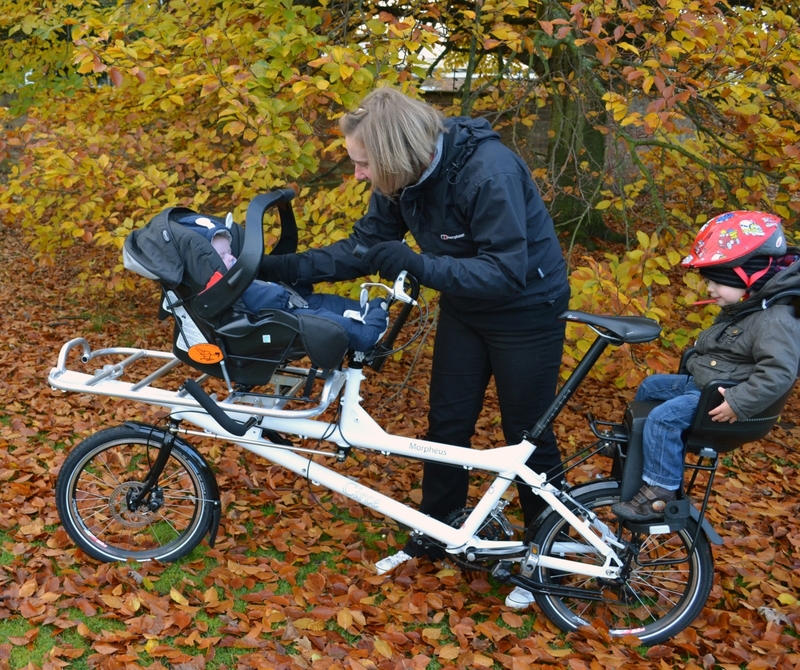 By attaching the Steco ‘Baby Mee‘, which is designed to hold the Maxi Cosi, to the dedicated Cargo rack of the Morpheus (or Helios), a baby can become part of a family ride. 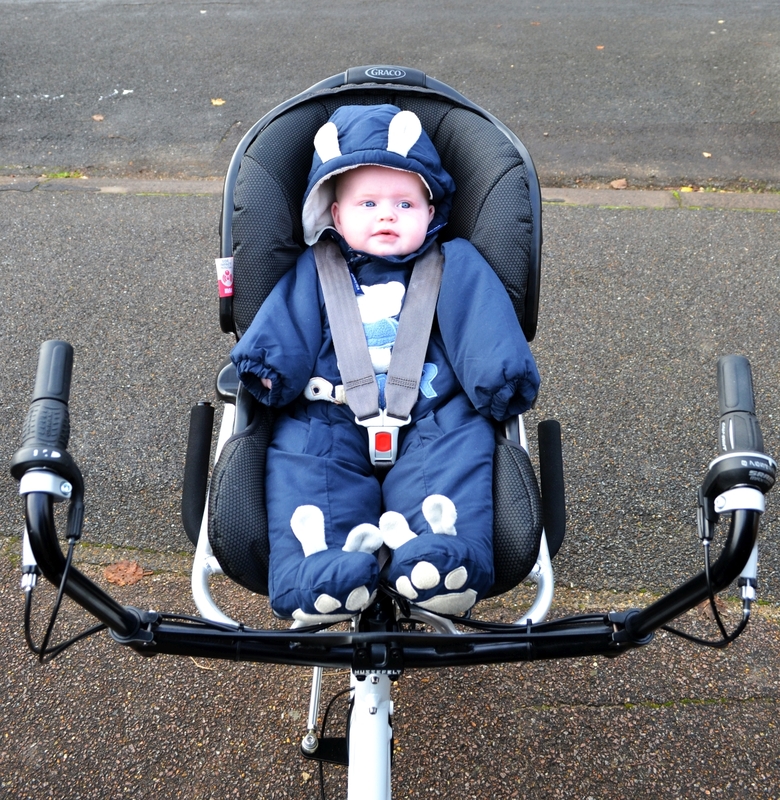 The Morpheus Cargo rack arrangement has the advantage that the baby faces the rider, allowing contact to be maintained without stopping or taking eyes off the road.